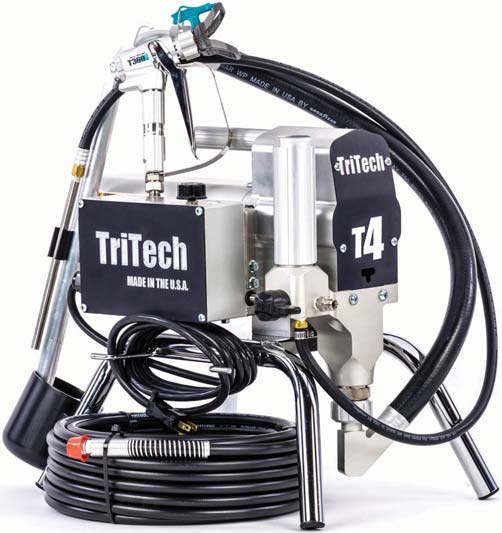 At TriTech our objective is to design and manufacture the longest lasting airless pumps and accessories that are synonymous with the absolute highest quality airless spray equipment with superior customer service. 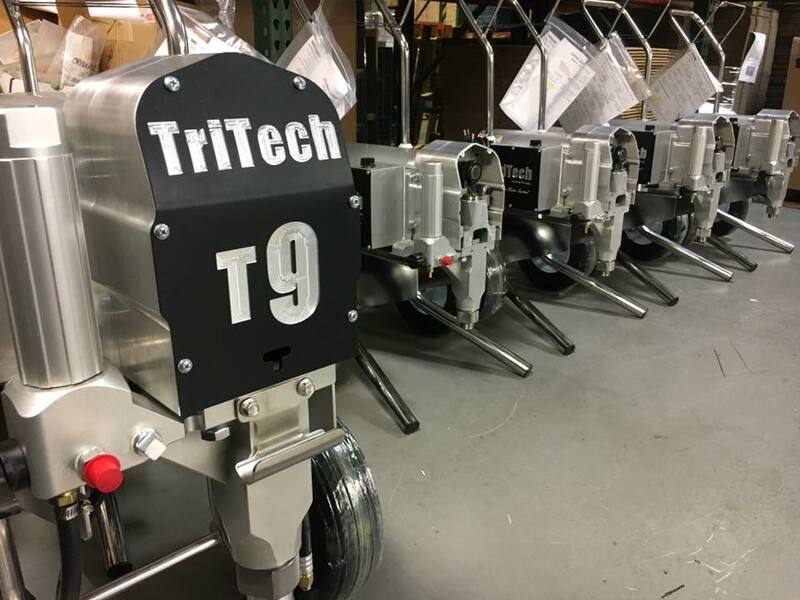 The Tritech T4, T5, T7, T9, and T11 are designed and manufactured at our state of the art manufacturing facility in Union, New Jersey USA. 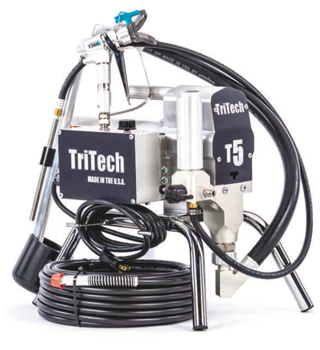 Innovations in design, high-quality unique materials and efficent manufacuturing processess result in a precision built airless sprayer and accessories that last longer than any other unit in their class. 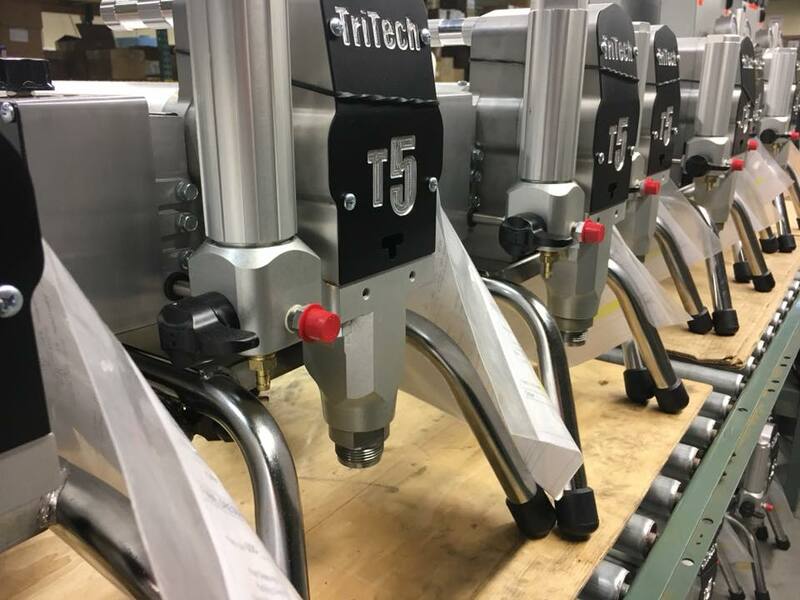 PMC(Precision Motor Control) precisely matches the motor output to the tip size you are using. 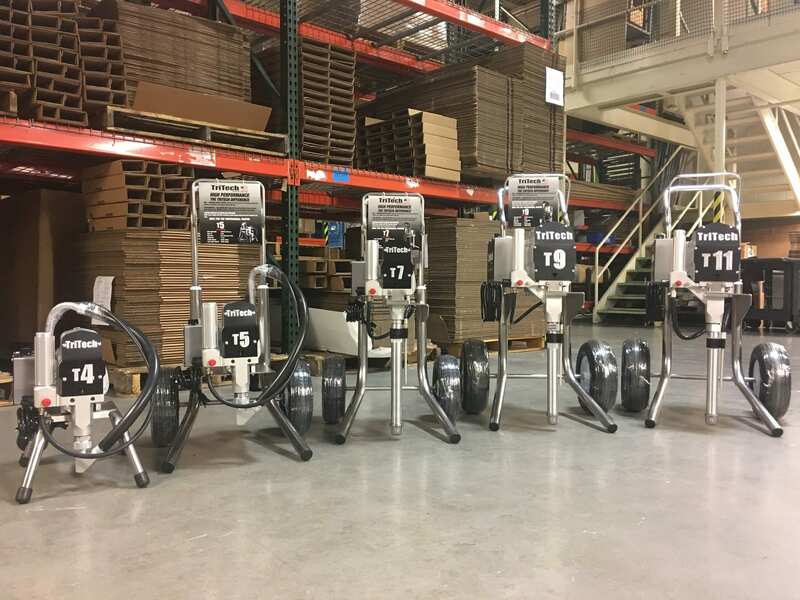 this results in lower power consumption at all pressures giving you the versatility to work under most any job site conditions and apply a wider variety of materials resulting in a superior finish. 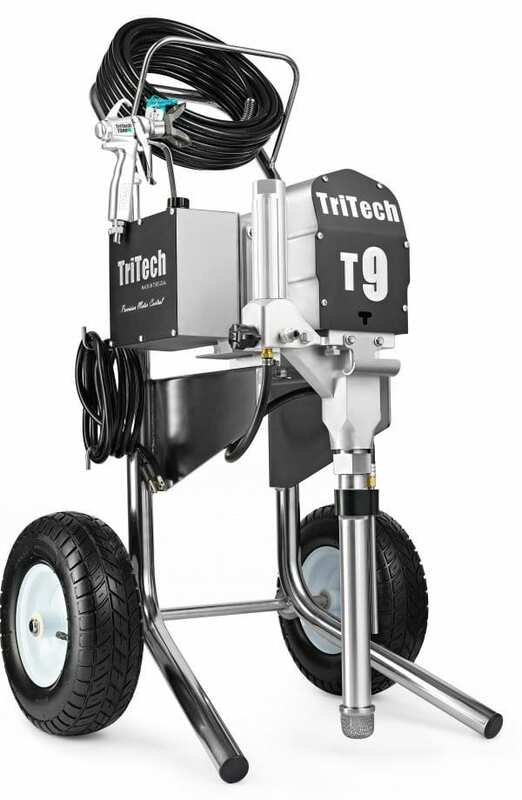 this means you will get higher performance, less down time, more coatings sprayed at the end of the year and more satisfied customers. 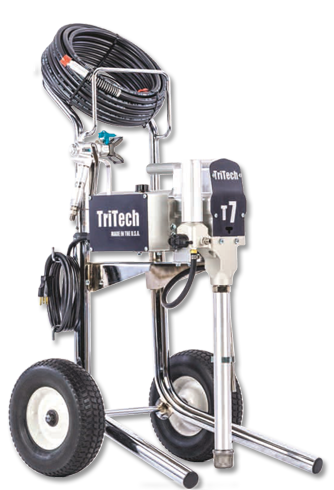 our manufacturing and engineering group has been in the airless industry for more than 25 years. 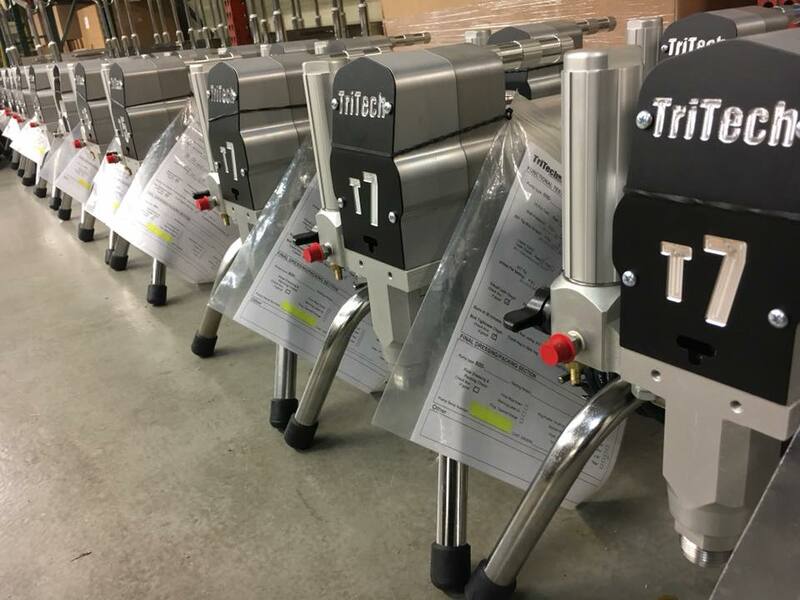 Coupling precision manufacturing with engineering innovations results in a longer lasting higher quality product. Painting is a tough job with many demands on your time and ability. 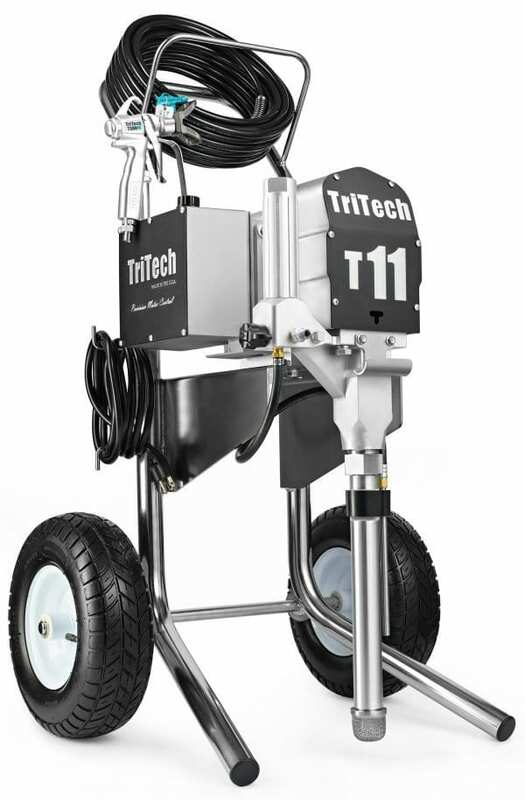 TriTech pumps are built tough to make sure they will work as hard as you do every day.